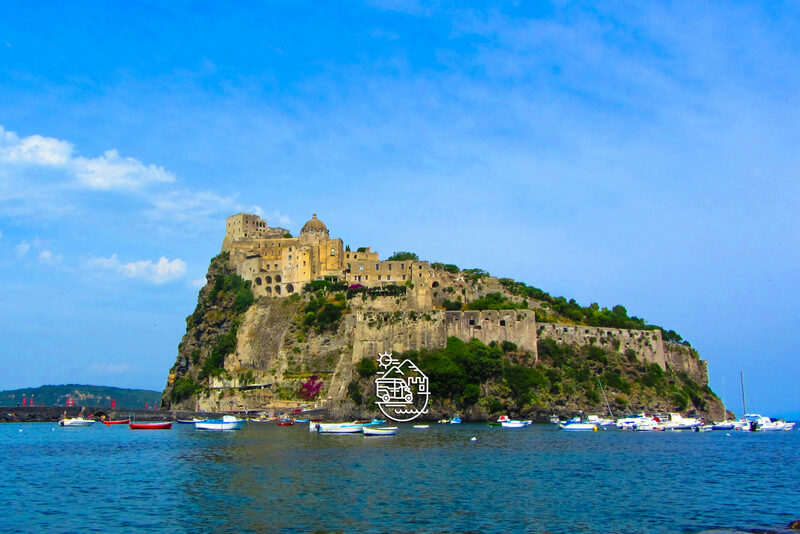 On this tour you explore the heart of the hystorical center of the island of Procida on foot, among the ancient typical fishermen’s houses, the “casali”, the first settlement of Terra Murata, and the quaint fishing village of Marina di Corricella. We start the walk from Marina Grande, the main port of the island of Procida and continue along Via Roma, to stop at the iconic church of Santa Maria della Pietà for pictures. We then walk up the ancient street called “Canale”, with traditonal artisan shops and ancient palaces with inner courtyards, called “Casali”. We reach the ancient hamlet of Terra murata, the highest point of the island of Procida from where you can enjoy a breathtaking view to Mount Vesuvius, Capri and Sorrento. 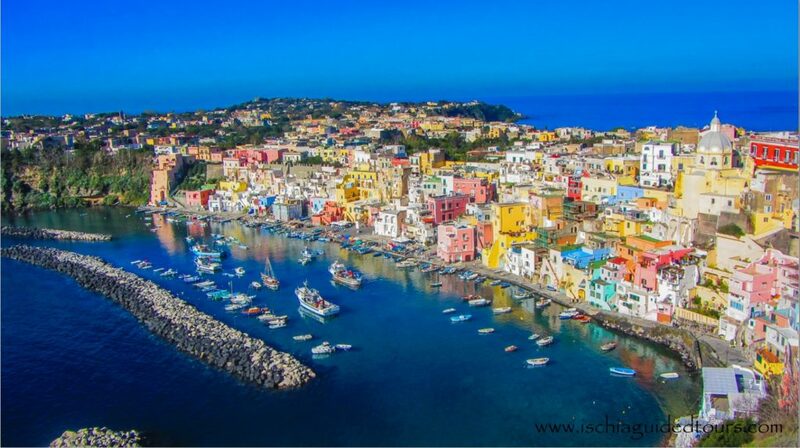 We visit the oldest church of the island San Michele Arcangelo, with its interesting paintings and statues and then visit the picturesque neighborhood “Casale Vascello” with the typical Procida architecture. Our walk continues in the fishing village of Marina di Corricella around its colorful houses and fishing boats, set of many famous films such as “The postman”, “The talented Mr Ripley” and “Arturo’s island”. Here we have time to stop for lunch or for a quick snack in a typical restaurant (not included in the rate) before returning back to Marina Grande port on foot.